The owner of the company behind a suite of popular DVD ripping tools has lost his case against several large Hollywood studios and their technology partners. 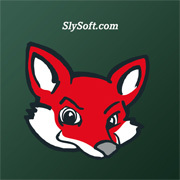 Slysoft owner Giancarla Bettini was found guilty of providing tools to circumvent AACS encryption and was fined $30,000. Failure to pay will result in a jail sentence. If one existed, Antigua would hardly head up a list of countries sympathetic to copyright claims originating from the United States. A dispute over the imposition of a trade blockade preventing Antigua from offering Internet gambling services has been lingering for some time, eventually resulting in a 2013 WTO ruling which officially allowed the country to ignore U.S. copyright law in order to reclaim lost revenue. But despite the hostilities, in the background a copyright-related dispute has flourished between U.S.-based AACS LA – the decryption licensing outfit founded by a group of movie studios and technology partners including Warner Bros, Disney, Microsoft and Intel – and Slysoft Inc, a local company offering DVD and Blu-ray backup tools. Slysoft is currently labeled a “rogue site” by the USTR but AACS has had the company on its radar for some time. After technical measures introduced by AACS failed to thwart Slysoft’s software, the group looked towards legal action. 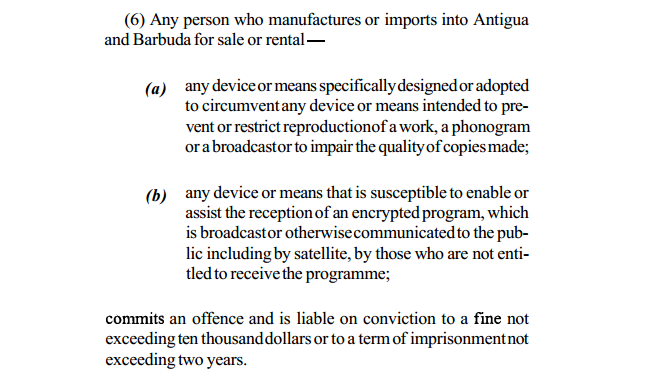 With the DMCA useless overseas, AACS looked to Antigua’s Copyright Act of 2003 which includes anti-circumvention clauses, as detailed below. However, a quirk of the law meant that only criminal action could be taken against Slysoft, leaving AACS at the mercy of Antiguan authorities who they hoped would bring a case against company owner, Giancarlo Bettini. Fortunately for the U.S. giants that’s exactly what happened in 2012 and now, 11 years after the anti-circumvention law was introduced, Antigua has its first conviction. In an Antigua & Barbuda court, Bettini was found guilty of six charges under the 2003 Copyright Act and ordered to pay a find of $5,000 per offense. Bettini was told to settle two of the $5,000 fines immediately, with payment of the other four deadlined for the end of April. Failure to pay carries six months in jail for each offense. “[SlySoft was] clearly violating Antiguan law, and the court ruled accordingly,” said AACS attorney Bruce Turnbull. Meanwhile, however, Slysoft continues to do business. TorrentFreak spoke to the company who told us that this decision is not the end of the road. “Subsequent to the recent ruling against Bettini, his lawyer Dane Hamilton QC immediately filed a notice of appeal so the judgment has been stayed,” Slysoft said, adding that it would not comment further on a pending case. On the heels of the recent AACS case against DVDFab which saw the company’s US-based assets seized, it appears that AACS may be contemplating further pressure on Slysoft business partners. “[The Antiguan legal victory] gives us a concrete decision to take to others who facilitate SlySoft and their business. We can say to those who do business with them: ‘This is an illegal activity’,” AACS’s lawyer added. c There are 185 comments. Add yours?